My "summer" time is coming to a close, but weather-wise it doesn't feel like it's letting up. I wore this cute outfit this summer while museum adventuring and outlet shopping. One thing I love about this outfit is that the cardigan really puts together the tank top and shorts without feeling too "exposed". The cardigan is very light and the length gave it more dimension. The shorts could definitely be mistaken as a skirt because of how flowy the material is. I don't know about you, but lately I've been gravitating to shorts that are more flowy and airy rather than tight and restricting. Plus the elastic style waistband doesn't apply any pressure on my stomach and hips. I added on a long rose gold locket necklace and slipped into my cute, comfy Toms and I was ready to go! 2. 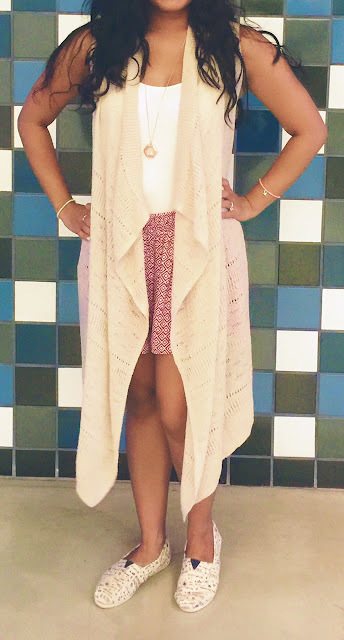 Long Sleeveless Crochet Cardigan via Target. Similar style here and here. 3. White Tank via Express. 4. Short Skirt via Old Navy. Similar style here and here. 5. Be Inspired Women's Classics via TOMS. Similar one here. What is your summer go to outfit? Cute! 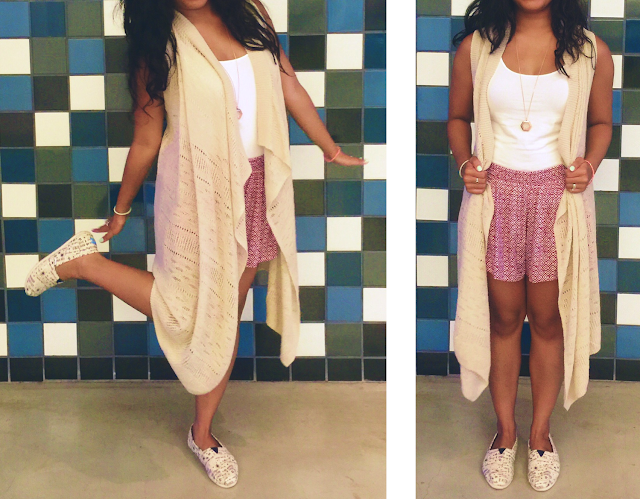 Love the cardigan, and I LOVE the shorts! I've been looking for a pair like that! 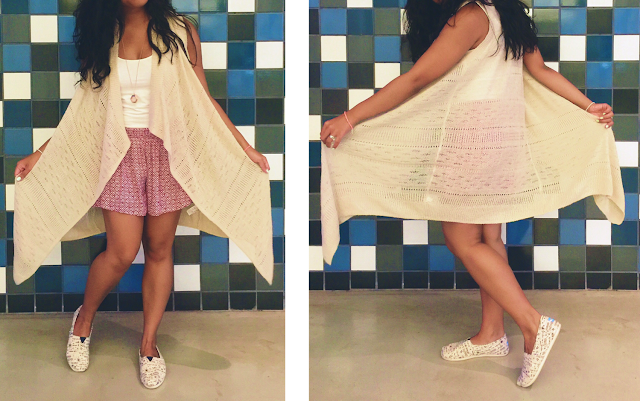 Love your cardigan, Jenny! Such a great outfit for summer!! 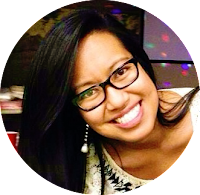 :) I'm all about tanks and cardigans – I'm always cold inside places, but its so hot here in the summer that layers are my go-to!